Excalion was born in December 2000 in Konnevesi, central Finland. Keyboard player Jarmo Jappe Myllyvirta had written some melodic power metal-style songs and began looking for a group to play his ideas aloud. So it happened that four people gathered in a tiny rehearsal room: Jappe, drummer Henri Pirkkalainen, bassist Timo Sahlberg and guitarist Tero Vaaja. After some playing, some chatting and some playing again, those four people realized that they had a band. 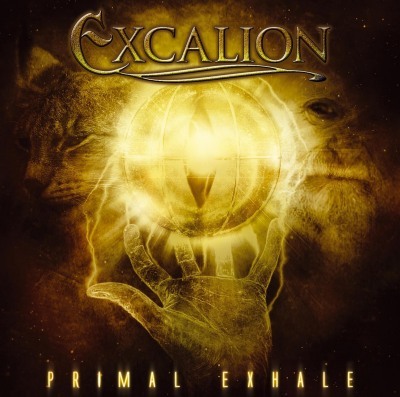 For reasons that have partly escaped everyone, the band was named Excalion. The next obvious task was to find someone to sing the songs. Solution was near. Jarmo Pkknen was a guy known of his big voice; Jarmos former band had recently split up, so he was available to join the band. In winter 2001 the band made a bold attempt to record some of their songs in rehearsal conditions; vocals and four instruments were present, but not much else than drums and keyboards are actually audible on the tape. The only really relevant thing about this recording was the song Sinners Symphony, which was occasionally in the live set for several years. The tape also featured songs called Call of the Earth and Wintertime, whose lifespan was only a couple of live gigs. The first ever rehearsed and played Excalion song, Insomnia, didnt make it for any kind of recording whatsoever, which is very fortunate for everyone. Excalion played its first gig ever in spring 2001 at Tyventalo, Konnevesi. Apart from Excalions own songs, the setlist included Stratovarius covers and some Nightwish songs without vocals (!) Soon after this Excalion acquired its full line-up when Kimmo Hnninen, who had played together with Jarmo before, joined the band as guitarist. 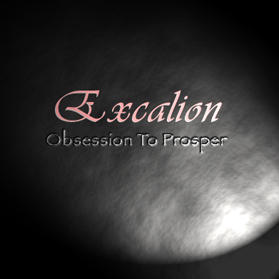 In autumn 2001 Excalion recorded their first demo. This was done at Studio Kaktus near Jyvskyl, where they had two days to record and mix three songs: Forlorn, Heart & Home and above-mentioned Sinners Symphony. Army service of some of the band members and other practical difficulties prevented Excalion to play gigs regularly. Years 2002 and 2003 saw some scattered gigs and reasonably hard rehearsing. Jappe also wrote new songs with more detail and variety than before. This was above all a time of learning how to be a band, and growing together musically. 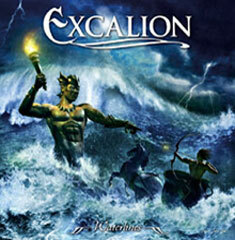 In autumn 2002 Excalion started to make their second demo, this time with their own equipment and studio software. The unwillingness to pay large fees for studio time led the band to learn how to do things independently and experiment. The demo was worked in short sessions all the time through spring 2003. Five songs were recorded: Temptation Wasteland, Lady Moon, Obsession to Prosper, The Way and also Megalomania, which was at that time a ten-minute-long, heavily progressive song. A new and powerful song, Stage of Lies, was recorded and added a bit later. It soon appeared that Temptation Wasteland, Obsession to Prosper and Stage of Lies were the most promising ones of these. Megalomania was later dismantled and turned into a shorter and a more compact song. This demo was convincing enough. At the end of 2003 the band signed a deal with Sound Riot Records, and the recording of Excalions debut album was fixed at autumn 2004. The tracks to be recorded included brand new songs written during 2004 and some reworkings of the older songs. The work was done at Studio Watercastle in Jyvskyl in September. The debut album, which was named Primal Exhale, was released in autumn 2005. The album ended up featuring ten tracks, notable of which was Dire Waters, a song written just a little before going to studio, with its new kind of influences. A song sung in Finnish, Luopio, which was actually the old Forlorn with new riffs and lyrics, was thrown in as a bonus. The album received some very positive feedback. Early 2005, before the release, changes in the line-up took place. Kimmo decided he wanted to leave the band because of lack of time and motivation, and Excalion had to look for a new guitar player. 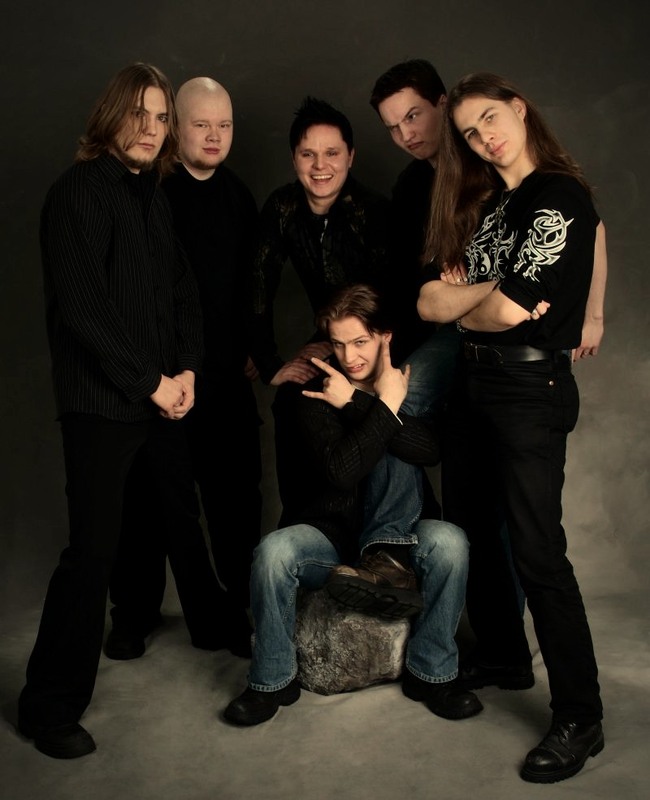 When bassist Timo soon also left the band and new, excellent guitarist Vesa Nupponen joined in, the decision was made that Tero would switch to bass, and Excalion would continue as a five-member band with one guitar. The decision was ultimately very easy, because the new line-up immediately started to work extremely well. Currently the band is working on new songs for their second album. The material sounds new and exciting, and expectations are high. The recordings of the new album will start in May.